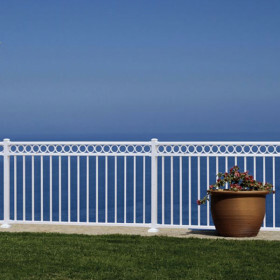 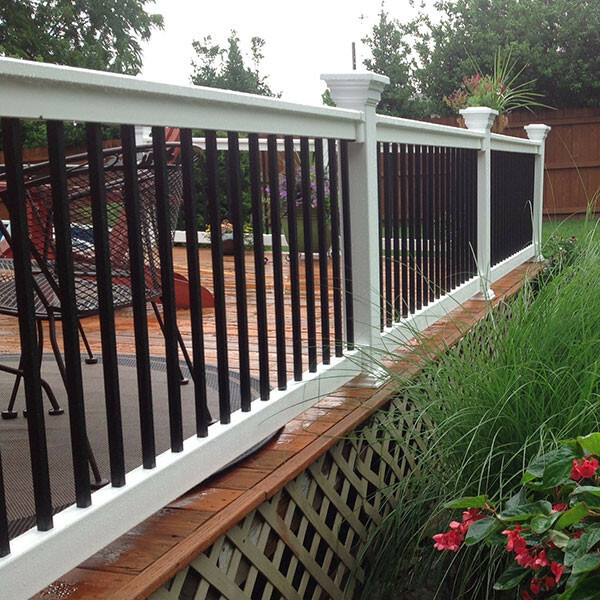 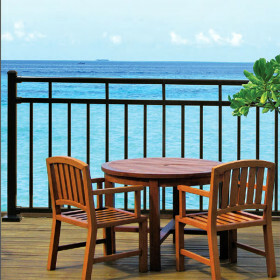 With the Bradford Vinyl Rail from Durables, you get the benefits of both vinyl and aluminum railing systems. 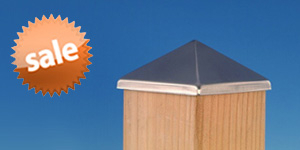 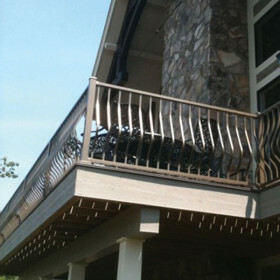 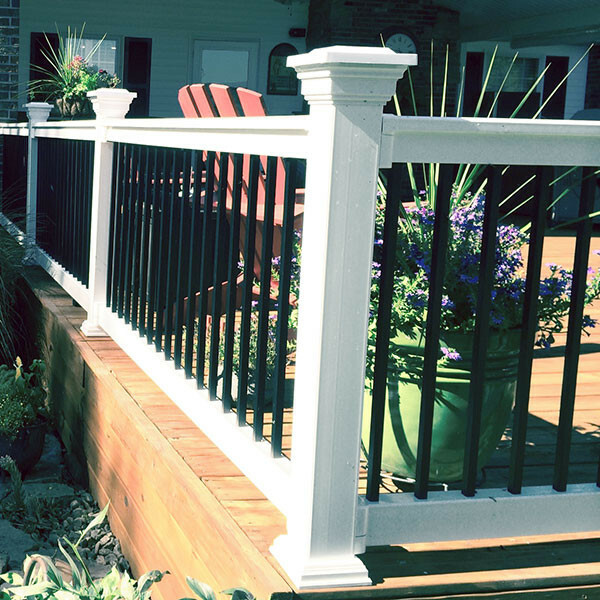 This system combines low-maintenance vinyl with the popular look of square aluminum balusters. 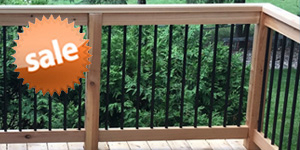 Square black aluminum balusters fit snugly between vinyl top and bottom rails which include extra-stable aluminum inserts. 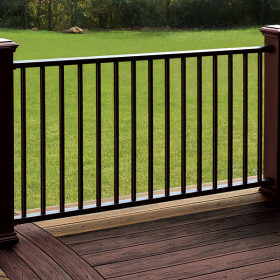 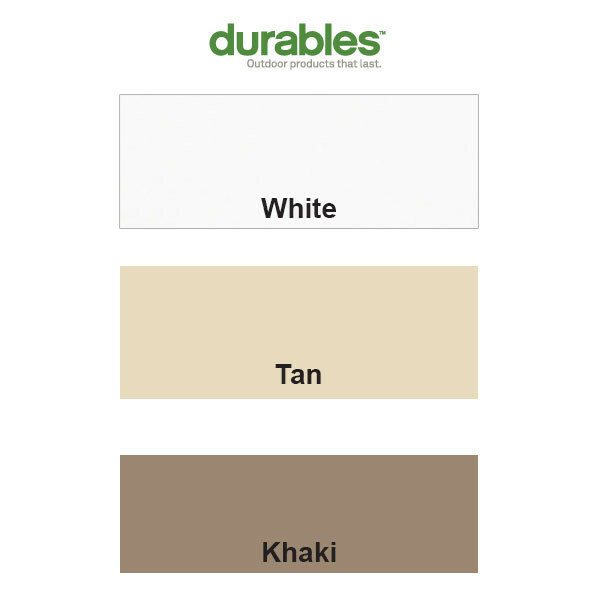 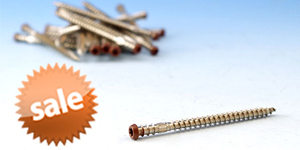 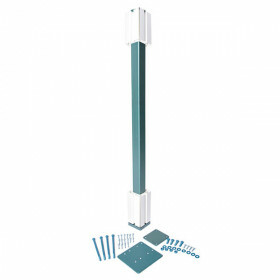 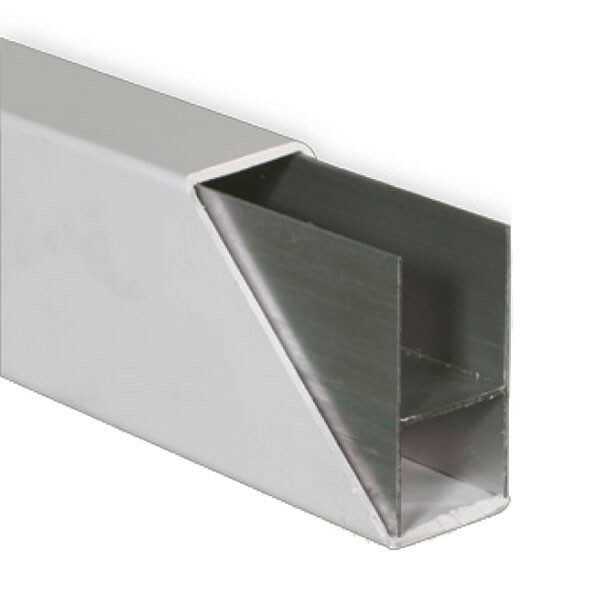 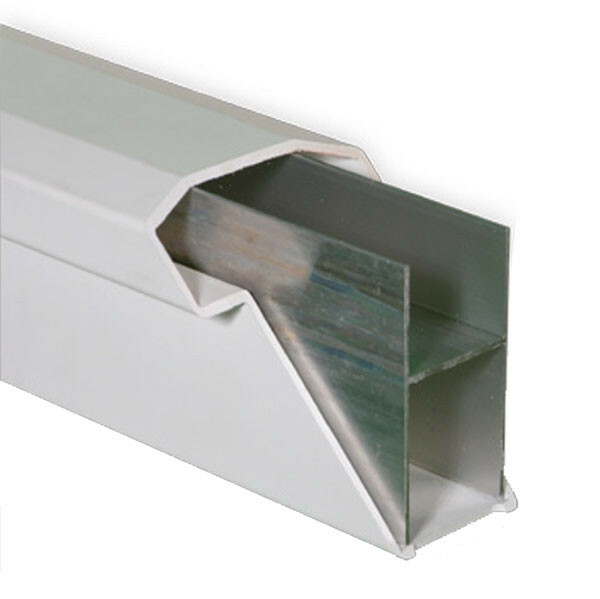 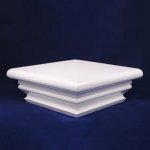 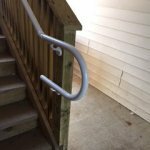 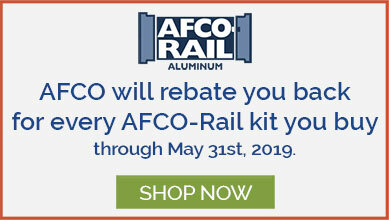 Choose from three colors of vinyl rail, available in two heights and four lengths to efficiently outfit any deck layout. 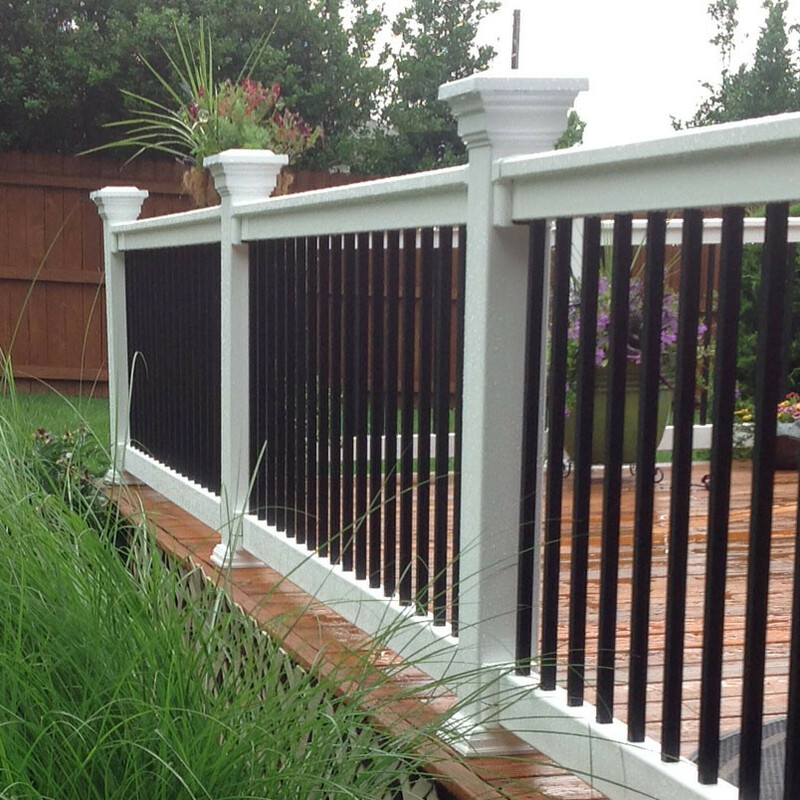 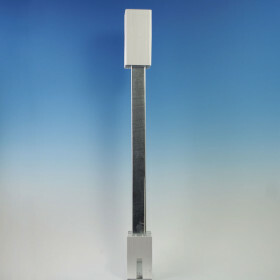 Rail Height 36" or 42"
(Width x Height) Top Rail: 3-1/2" x 3-1/2"
Bottom Rail: 2" x 3-1/2"
Other Posts and accessories sold separately.